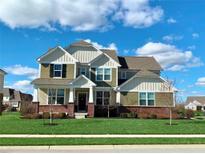 Below you can view all the homes for sale in the Viking Meadows subdivision located in Westfield Indiana. 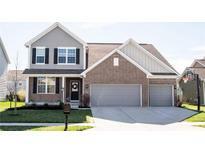 Listings in Viking Meadows are updated daily from data we receive from the Indianapolis multiple listing service. To learn more about any of these homes or to receive custom notifications when a new property is listed for sale in Viking Meadows, give us a call at 317-427-7201. Backyard has a huge built in custom firepit and is ready for fun! ! 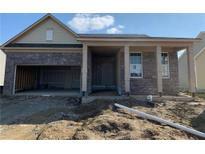 MLS#21625368. F.C. Tucker Company. Unbelievable 3 Car Garage"Man Cave"w/Heater+Epoxy Floor+Storage Cabinet+Shelves MLS#21623023. Berkshire Hathaway Home. Top of the line neighborhood amenities including a pool, tennis courts, playground, and clubhouse! Welcome home! MLS#21618692. F.C. Tucker Company. Minutes to the Monon & amenities in the Sought after Viking Meadows neighborhood amenities including a pool, tennis courts, playground, and clubhouse! MLS#21616414. RE/MAX Ability Plus. Fab community pool, clubhouse, playground, tennis & indoor/outdoor basketball courts lends itself to meeting neighbors! MLS#21615477. F.C. Tucker Company. 3 bedroom, 3 bath home backs up to berm with mixture of trees. MLS#21595909. CENTURY 21 Scheetz.